Ivanka Trump is trying to sell Congress on her regressive child-care tax deduction. 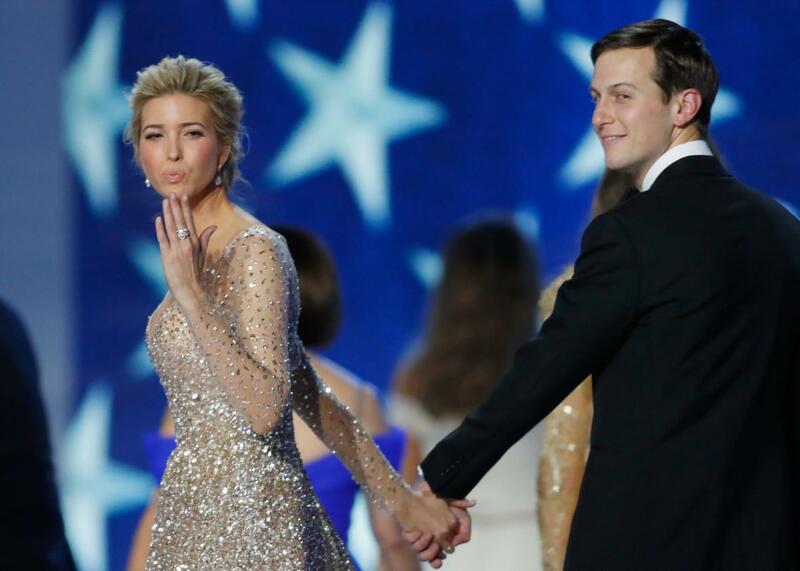 Ivanka Trump and husband Jared Kushner would get a much bigger deduction than the minimum-wage workers that pour their coffees. Ivanka Trump has been talking up her ideas for a child care tax benefit in recent weeks, trying to get Republicans in Congress add a new deduction to the tax overhaul they’re writing. Bloomberg reports that the president’s daughter, who has no formal role in the Trump administration, met with legislators in the White House last week to discuss a proposal she and her father started pushing during his presidential campaign. The subsidy would come in the form of a deduction: Individuals earning less than $250,000 and couples with a combined income of less than $500,000 would be able to deduct their child care expenses from their income taxes. An estimate from the right-leaning Tax Foundation puts the cost of the proposed deduction at $500 billion in the span of a decade. The clever thing about making a child-care benefit a tax deduction instead of a tax credit is that it benefits wealthy parents and families far more than poor ones. First of all, there would be no benefit for people living in poverty and people who make so little money that they have no tax burden at all—that’s more than a third of the country. (Trump has said that families who don’t make enough to pay taxes would get a larger earned income tax credit as part of the child-care subsidy.) Among those who do pay income taxes, the benefit would only come around tax time, even though child-care bills come regularly throughout the year, making the subsidy of little use for people who can’t afford to keep a comfortable chunk of savings tucked away. If Ivanka’s proposal only allows families to deduct the nation’s average child-care cost, as originally planned, that would be an even greater hardship for Americans who live in cities or states where child-care costs more than rent. Ivanka Trump’s proposed deduction would offer parents a subsidy based on their tax bracket. As economists have noted, this means a wealthy family in the 40 percent tax bracket would get a $400 deduction for every $1,000 in child care expenses, while a family in the 15 percent bracket would get just $150. Low-income families already spend outrageous proportions of their income on child-care—dual-income couples spend an average of 15 percent, while some single mothers pay as much as 65 percent. Under Trump’s plan, Ivanka herself could conceivably spend the same amount on child care as the woman who pours her assistants’ coffees, but the millionaire would get a bigger deduction on her tax bill than the minimum-wage worker. This is the regressive-taxed country the GOP envisions. In that respect, the child-care deduction Ivanka and her father are putting forward represents a droplet of progress in how GOP leaders discuss the choices women make about work and family. In practice, if it comes through at all, it will mean far more for the wealthy, predominantly white women Republicans want to keep on their side than to families struggling to reconcile the impossible double bind of meager-but-necessary income and exorbitant child-care costs.